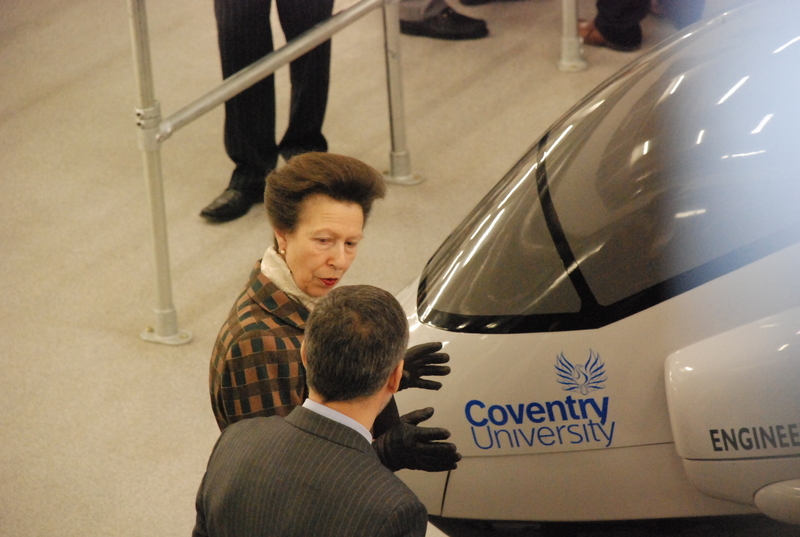 The Princess Royal commissioned the multi-million Engineering and Computing building at Coventry University on the 8th of February. Princess Anne, who arrived at around 10.40am with her accompanying entourage was received by the vice-chancellor of Coventry University, Professor Madeleine Atkins, the Lord Mayor and Lady Mayoress, the High Sheriff of West Midlands; Mr Stewart Towe and the clerk of West Midlands Lieutenancy; Mr martin Tunstall. It is just over ten years ago when her Royal Highness opened the library building which sits just next door to the new engineering building. After a tour in parts of the building, she was taken to the flight simulator centre which is name after Dr Majid AlSadi; one of Coventry University’s highest achieving alumni. 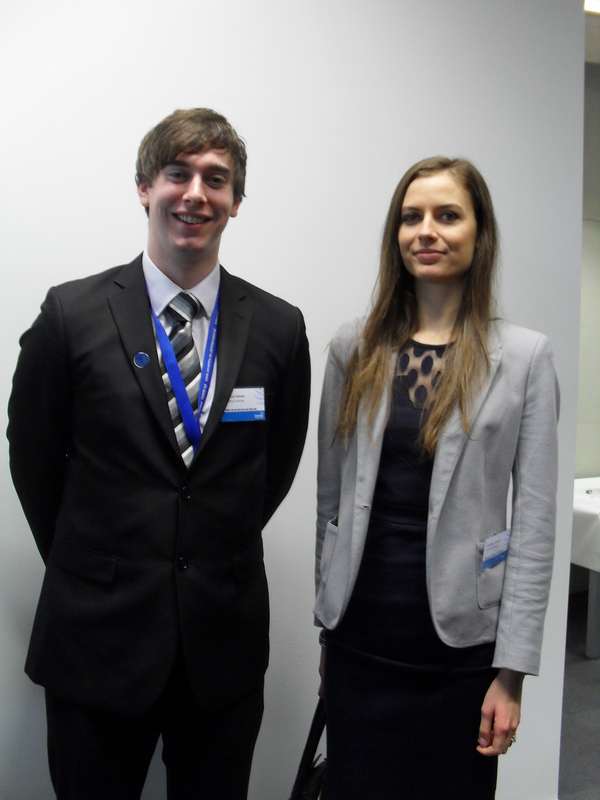 She was welcome by Professor Mike Blundell, other members of staff and two aviation students Joshua Holmes and Ana-Maria Cotofan. The Princess Royal was then accompanied to EC1-29 where a crowd of about 150 including invited guests, staff and students were waiting for the unveiling of the plaque. In her address to the audience, Professor Madeline Atkins expressed her thanks to the Garfield Weston Foundation and the Wolfson Foundation for their generous grants towards the cost of the building. She added: “I’m delighted that we have been able to name the two lecture theatres downstairs to recognise their contribution. Professor Atkins also thanked the Sir William Lyons Trust and the 29th of May 1961 charitable trust who have been generous in the way they have given money and support to students in the faculty. 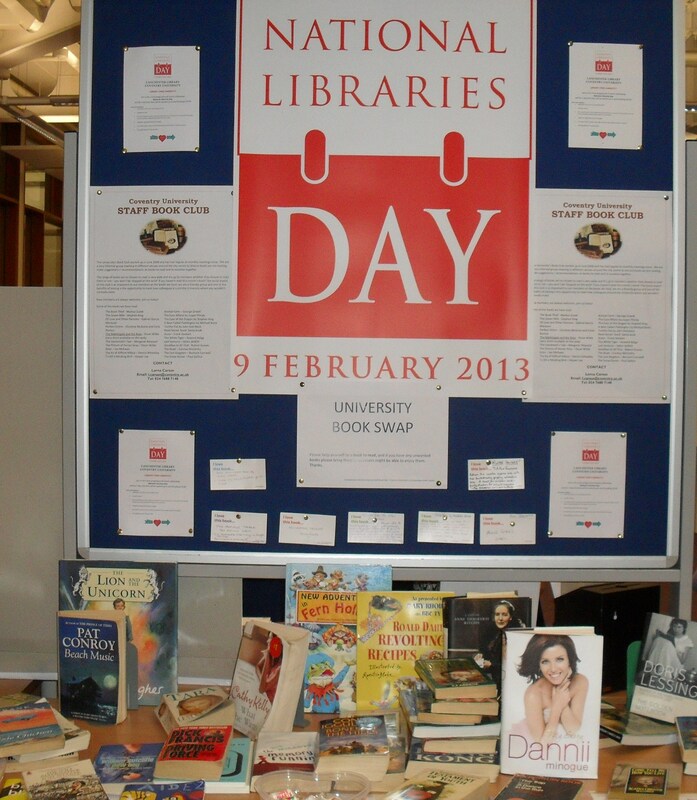 The Lanchester Library of Coventry University celebrated National Libraries Day today with a series of events which run simultaneously from 11am to 5pm. Activities included Sound and Vision Installation, interactive arts, a question and answer session, synchronised ironing and more so, an amnesty on all library fines below 10 pounds. The Interactive Arts session was run by Lynne Langton; MA Contemporary Art Practice student, who had a large sheet of white paper spread out on the floor with books scattered around. I love drawing and that’s what brought me to Coventry to study she said. Amy Weir and Emma Smith, second year music performance students, dressed as house wives demonstrated synchronised ironing; which is meant to be a random form of visual art for people to look at as they walked past. Poetry writer, Deborah Alma, dressed in a white coat with a stethoscope ran the emergency poet work shop. Emergency Poet ran like a clinic where people go in, lie down on the couch and after a ten minute consultation, she prescribed them an appropriate poem. Her patients were people at the library who were feeling tired, stressed, anxious or even lovesick. As keen readers and book lovers were milling about on all floors of the library, students flocked to the reception desk in their numbers to have their library fines waved off. Scenes for kaleidoscope man were shot this evening in broadgate Coventry. 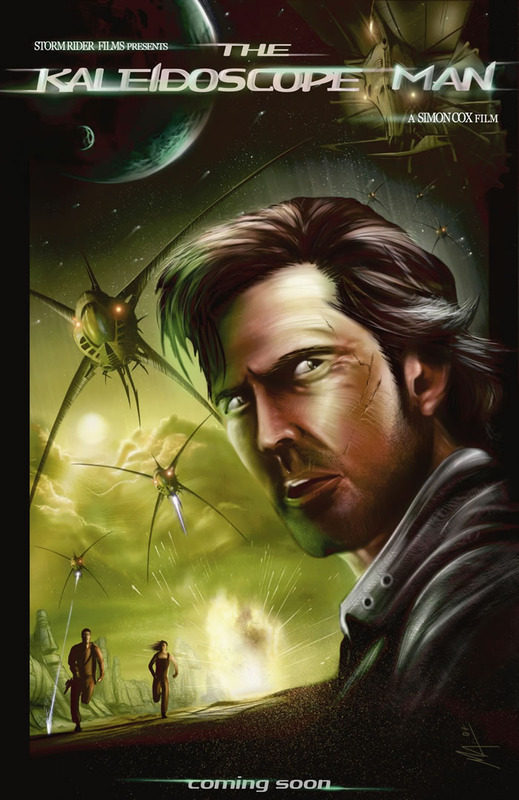 Kaleidoscope man is a thrilling new science fiction movie director Simon Cox is hoping to release in 2014. The movie is about Dr Thomas Dunn whose life falls apart and his confidence shatters after the death of his young daughter. He discovers his wife Mandy is pregnant again and see this as a chance to move away from the tragedy of the past and find faith. As a doctor who cares for paranoid schizophrenics, narcissistic personality disorder and manic depressive patients, one day he has a horrific vision about fire, destruction and the end of the earth. Mandy his wife has the same vision and so does his three patients Harriet, Floyd and Samantha. Thomas Dunn is astounded why these three patients have the same vision as him. Fear and paranoia grips people around the world as every discusses the vision only some seems to have experienced. Then, a loud bang, accompanied by a deafening noise and an almost blinding flash of light, a new star appears in the heavens. 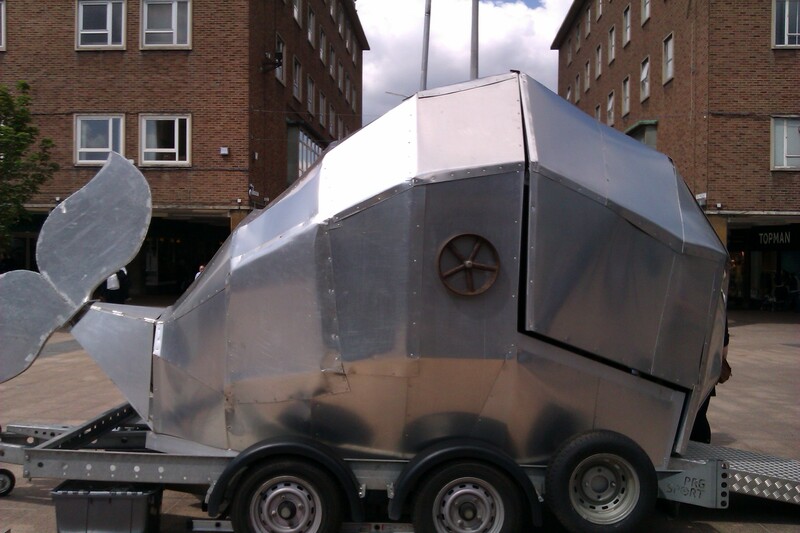 A telescope point skywards, a gigantic spaceship hovers and the people on earth begin to get zapped. Thomas and Mandy miss each other’s phone calls. As the sun sets, a four legged harvester spaceship attacks the hospital and abducts Dr Thomas along with his three patients; Harriet, Floyd and Samantha. They are forced into pods and here they discover the truth behind the horrific visions and why they were chosen. Another spaceship launches an attack on earth and collects the inhabitants into pods. Dr Thomas discovers he must look deep within himself not just to find faith but the foresight and courage to save the human race but first he must save Mandy and their unborn child. Speaking to director Simon Cox as he took a break to look over his scripts, he mentioned this is a project he has been working on for ten years. He added: “My aim is to make one of the greatest British sci-fi movies of all times”. Simon directed ‘Written in Blood’ and has edited numerous programmes for BBC, ITV Channel 4 and Channel 5. He’s also edited shows like The Wombles, Astro Farm and Treasure Island. Producer Richard Wood who runs ‘Rootstoshoots’ and also the ‘Coventry Warwickshire Filmmakers network’ was also in broadgate. He added: “The reason why I got involved with this movie is the opportunity to look at something commercial that has a lot of hype and buzz around”. Speaking to Susan Haycock an extra in the movie she said: “I heard about the movie because the director is a brother-in-law. I used to dance years ago but now I’m acting and even though it’s a really minor scene I’m enjoying it”. In the last few days I’ve gone from being press officer of the festival to assistant event organizer. I played a very important role in overseeing that the performance came out well. The music for the choreography was being played from the big screen. When all the schools are ready a gentleman on the far end pushes the button for the music to start. My job was to signal him to push the button. It sounds easy but timing was very crucial for the dance to be properly executed. The festival continued in the city centre. I aimed to take a trip into the belly of the whale to see the theatrical performance of the lovesick submariner. I entered the belly of the whale, the mouth of the whale shut and the red curtains were drawn. In there sat a mariner with a rather lost expression and an accordion. He said to me he is trying to send a message to his long lost love. He has a limited amount of words that he could write however he has to get all the words in for his note to make sense. We sat for about two minutes trying to figure out how best to compose this letter. In the end we came up with a solution. Before the exited the belly of the whale the mariner handed me a folded paper with a note to give to his lost love if I find her. I’m not entirely sure where to start looking but I took the note all the same. He sang and played the accordion quite well but as to whether I was serenaded by this love sick mariner. I would leave that to the judgment of whoever went into the belly of the whale when I exited. 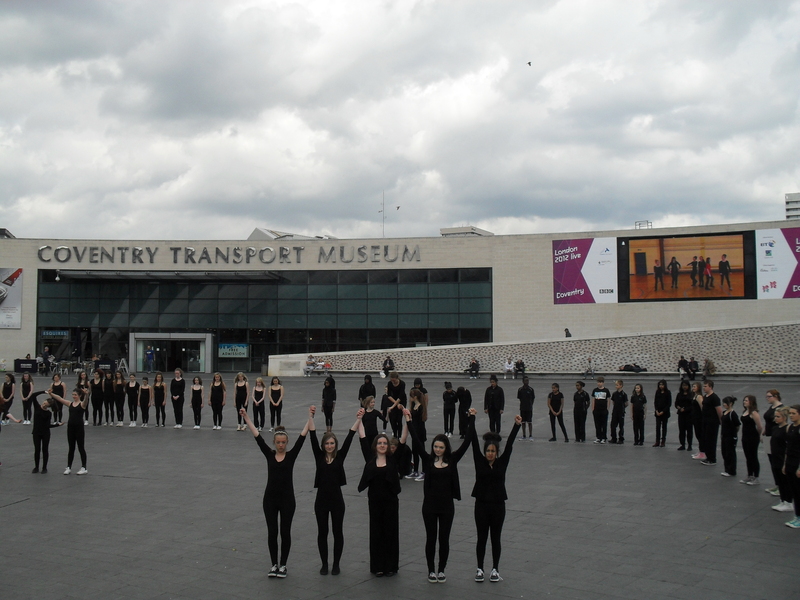 ‘Container’, from the Coventry school of Art and Design were in Broadgate today and yesterday from 12 to 2pm with a vivid performance as a response to the theme of urban development and transformation. 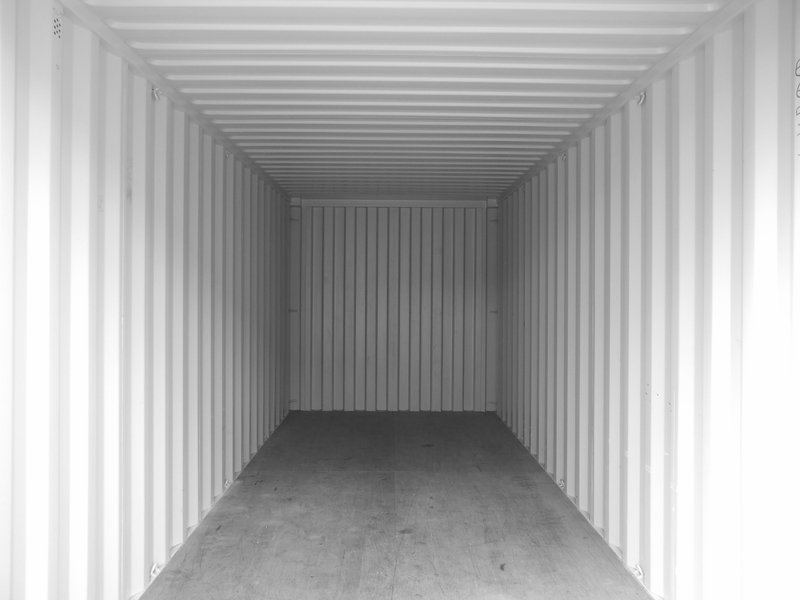 The hollow shipping container depicts a cold, industrial and alien environment. The idea is to put a vulnerable and lone human being in this context to see the change in their reaction. This person comes in the form of German-born Joana Tischkan, a 2nd year Dance and Theatre student of Coventry University. 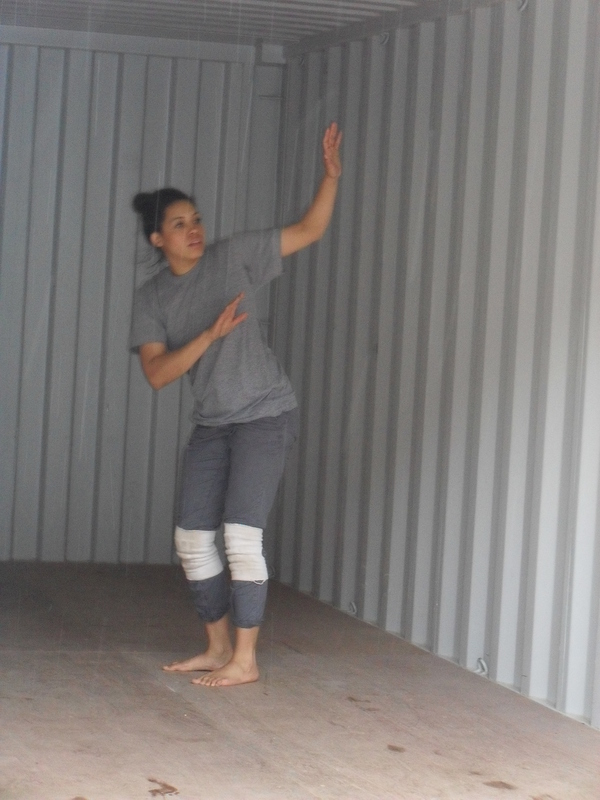 The creative idea of the dance is watching how Joana engages with this performance space as an object through her movements. 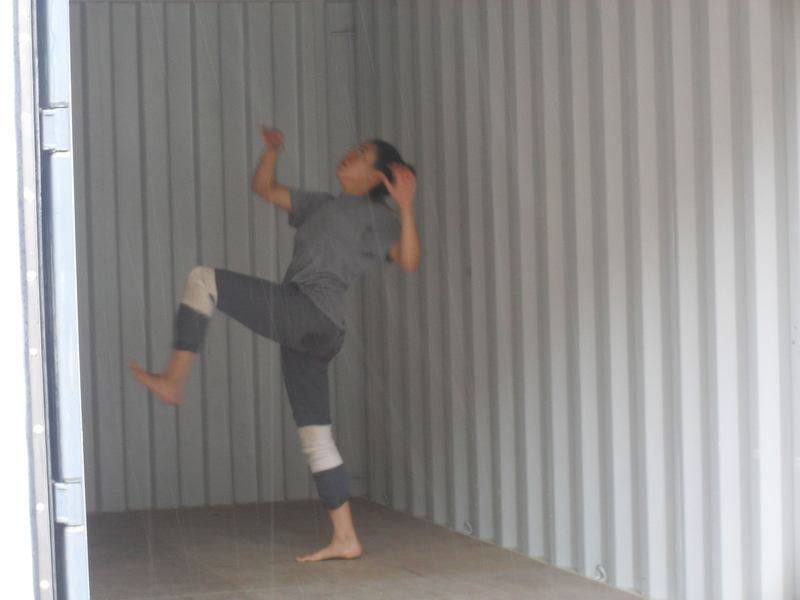 German sonic artist Wolfram Spyra will capture Joana’s movement and emotional response in the contained environment. He will do this by attaching speaker and amplifiers to the container to intensify every sound Joana makes. Nana Ama Akpoblu, 2nd year Journalism student of Coventry University and press officer for the Mysteries Festival said: “Watching Joana rehearsal her dance moves was surreal. The container is wide open but she doesn’t run out. In a still moment she begins to touch the floor as if to see if it’s real. Her emotional change is quite intense”. 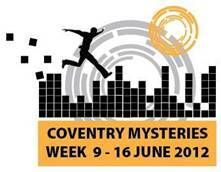 The Coventry Mysteries Festival is back in town promising an even bigger and better line up of activities. There are over 100 events but this year’s Mysteries Trilogy performance promises to attract a huge audience to the Cathedral on 18th June. Playbox Theatre, a company of young actors based in Warwickshire, will bring to audiences their innovative production of the stories of Creation, Passion and Doomsday. This company enjoys an internationally reputation, known for their engaging, incredible and highly creative performances. The last performance of the Mysteries at the Cathedral was six years ago. Three years ago, the Belgrade Theatre staged the plays from the point of view of other cultures, focusing on the shared heritage of Christianity, Islam and Judaism. Staging the play from the point of view of different cultures allowed audience to hear of the many Bible stories also found in the Quran. The Mysteries Trilogy will be performed at 7.30pm on Monday 18th June. Tickets are just £5 and are available on the door or in advance by calling 024 7652 1210. Members of the public are also encouraged to attend a pre-performance event at 6.30pm on the same day. Playbox theatre director Stewart McGill will explain how the production was put together and there will be an opportunity to ask him questions. 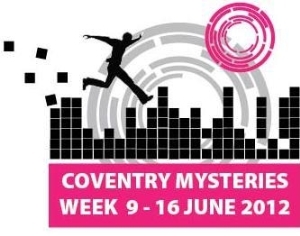 COVENTRY MYSTERIES WEEK (9th-16th June) is the city’s annual festival of dance, drama, music, film, digital media and visual art. 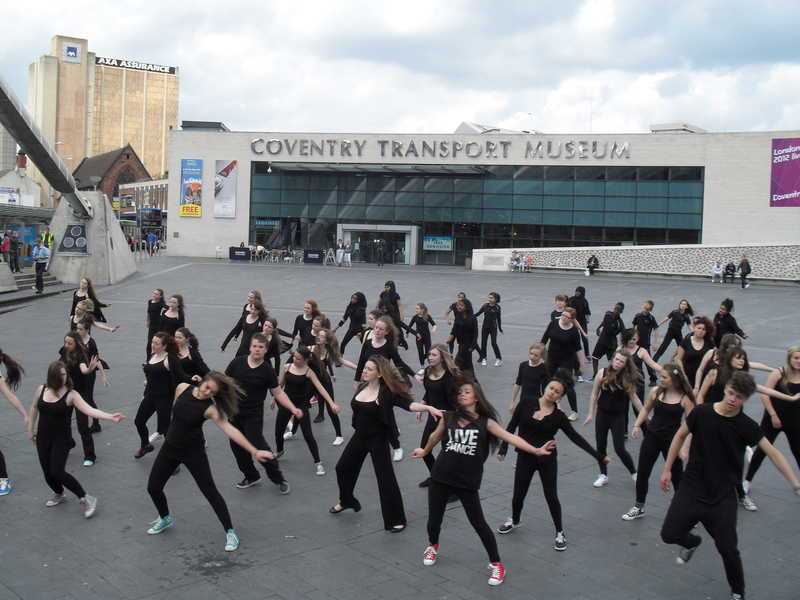 The city’s many varied public spaces, including pedestrian streets, shopping centres, and parks, are attracting artists from across the UK to create new work and, encourage audiences to relate to buildings and people in new ways. Aspiring fashion designer Jacqui Agyemang has taken to designing vibrant African fabrics to create modern style with a twist. 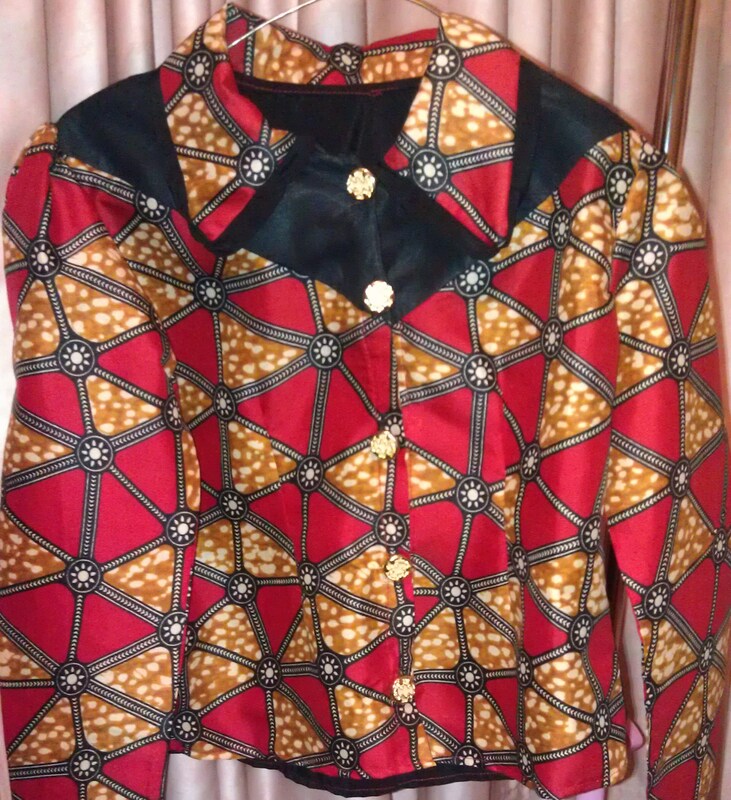 Elegant, stylish, smart and casual are themes that form an important part of the clothes that she designs. 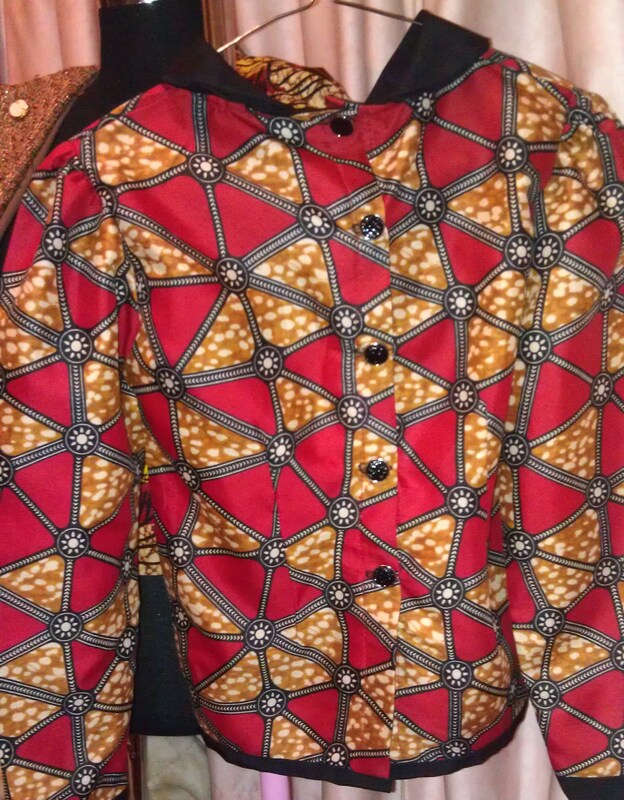 African fabrics are often rich in colour and as designer with an eye for detail she pays attention to the infusion of colours. She expresses the desire to work behind the scenes putting together performer’s wardrobe in a theatre or gain experience as custom designer on set. However, in the future Jackie aims to work as an established designer in the fashion industry. 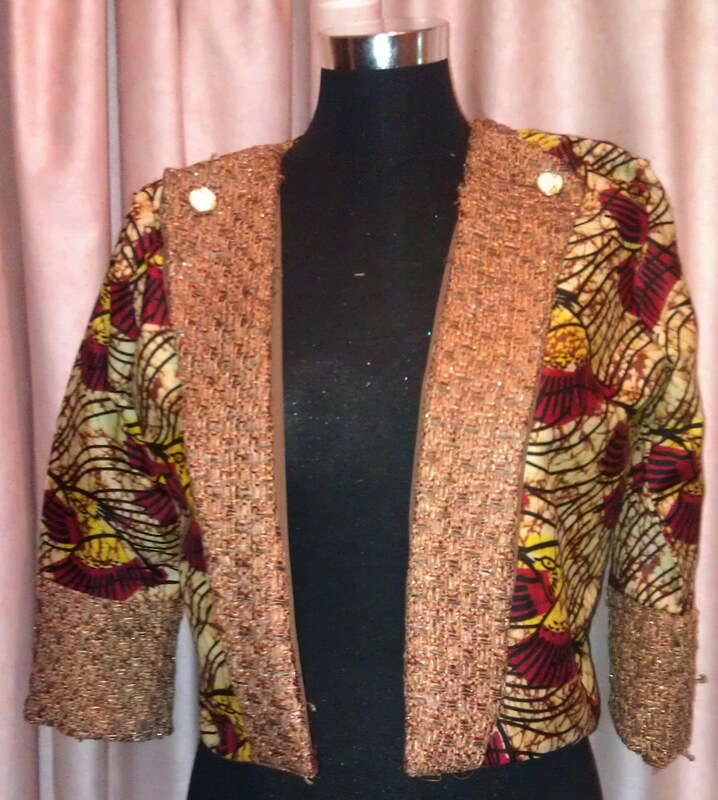 Her goal is to have her signature fashion label and also run her fashion house. The very best to Jackie as we have hope to see her labels the run way. Watch this space guys.